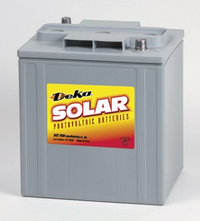 MK Battery 12v 37Ah AGM 8AU1H DEKA Authorized dealer of Deka sealed AGM batteries, reliable deep cycle solar batteries designed for solar PV panel systems, safe online ordering. 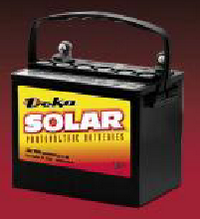 Advanced USA engineering and technology and the use of the most modern manufacturing techniques combine to make MK Battery’s Sealed Batteries the standard by which all other batteries are measured. 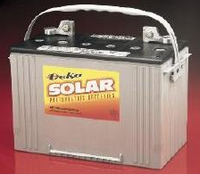 Our Sealed Batteries are the best the PV/Solar market has to offer.Terminal:T873 w/handle Pallet qty:111 Voltage:12v Amp hours C20/C100:32.5/37.0 Dimensions_L=8.31xW=5.13xH=7.25 Weight: 24 lbs.